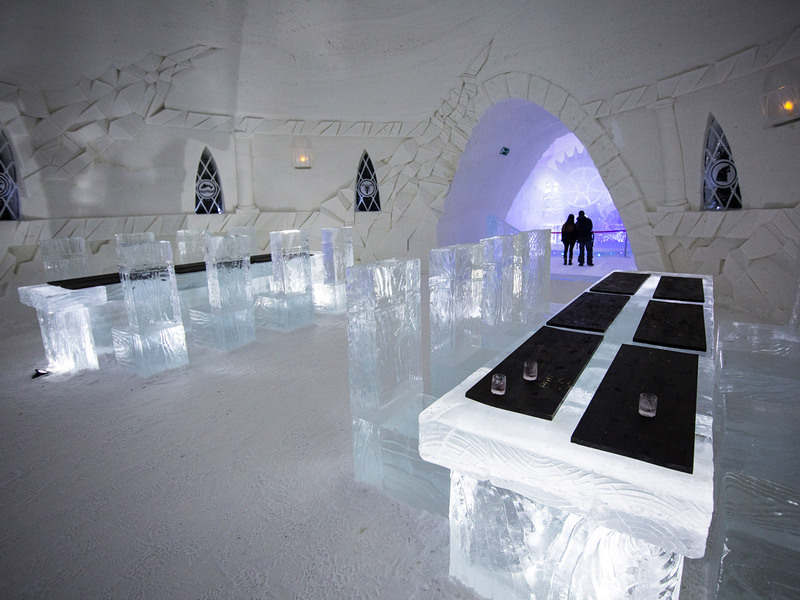 Created using 400 ons of ice, the annual hotel features an exclusive reindeer-filled menu and chilled Nordic cocktails. As the bomb cyclone proved, winter isn’t coming—it’s already here. 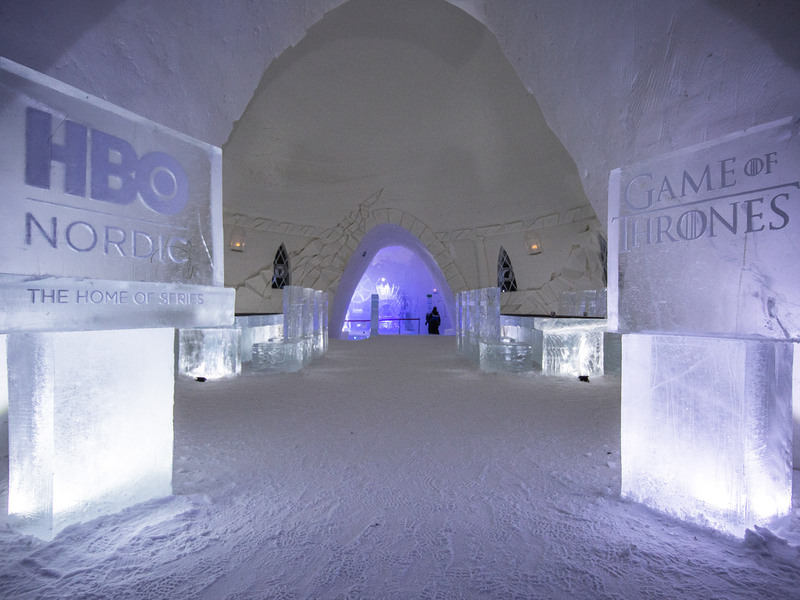 So what better way to celebrate (or endure) the blistery season than heading north to Finland and joining up with some White Walkers at HBO Nordic’s exclusive Game of Thrones hotel? 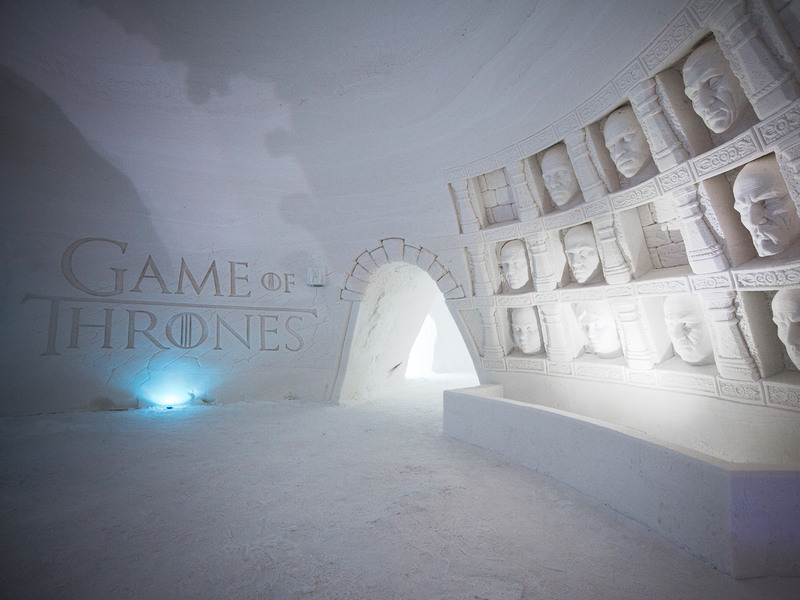 The network, in partnership with Lapland Hotels SnowVillage (Lainiotie 99, 99120 Kittilä, Finland), is offering some cool accommodations, giving superfans the chance to imagine what it would be like to live beyond The Wall. 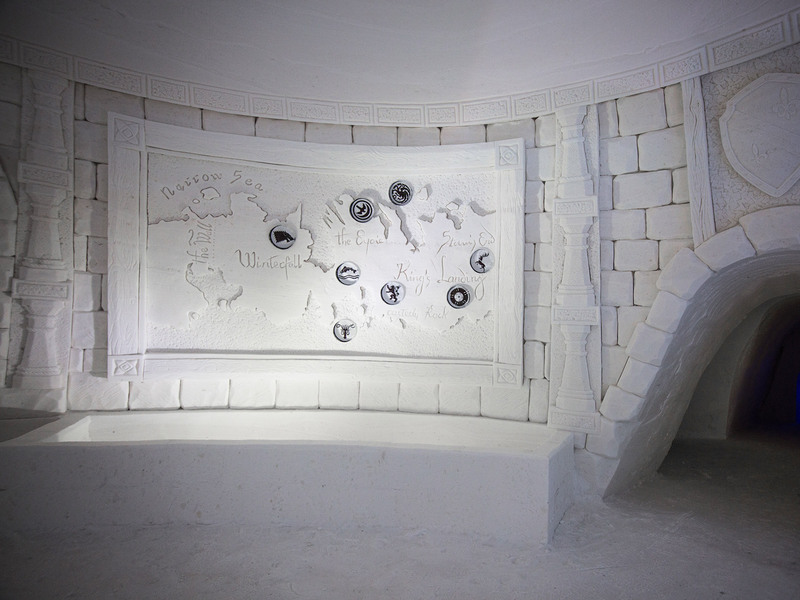 Created using 400 tons of ice and sculpted by Ukrainian, Russian, Polish, and Latvian artists, the entire establishment is kept at a chilly minus five degrees Celsius, and includes decor, rooms, food, and drink menus based on the region’s “northern” fair. The site incorporates 14 rooms and 10 suites total, complete with their own thermal sleeping arrangements and hot berry juice for the morning. 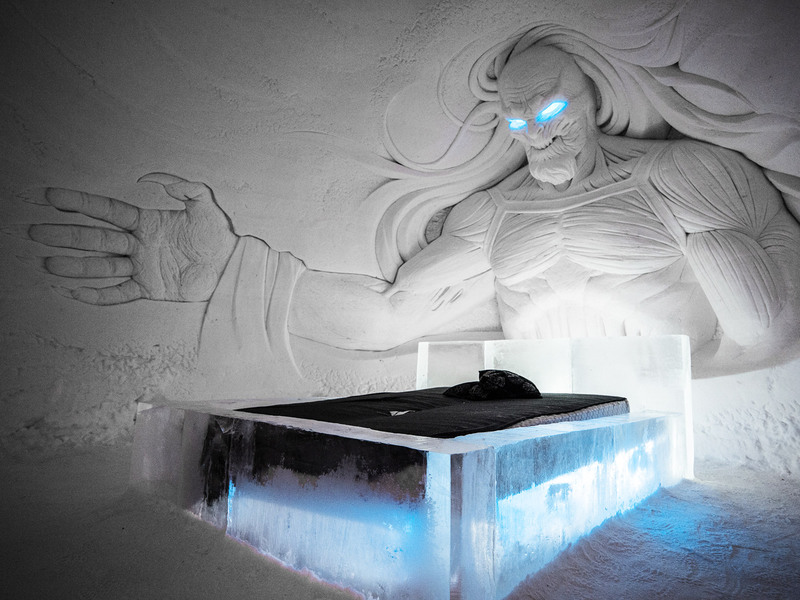 Guests who stay or visit will notice a number of familiar Game of Thrones elements around the building, including a suite with a large carved (and looming) White Walker, wall sigils of the great Westerosi houses, a reconstructed Hall of Faces, as well as a dragon-shaped ice slide and other ice sculptures of themes and characters from the hit series. And what would any Game of Thrones hotel be without its own replica of the Iron Throne? 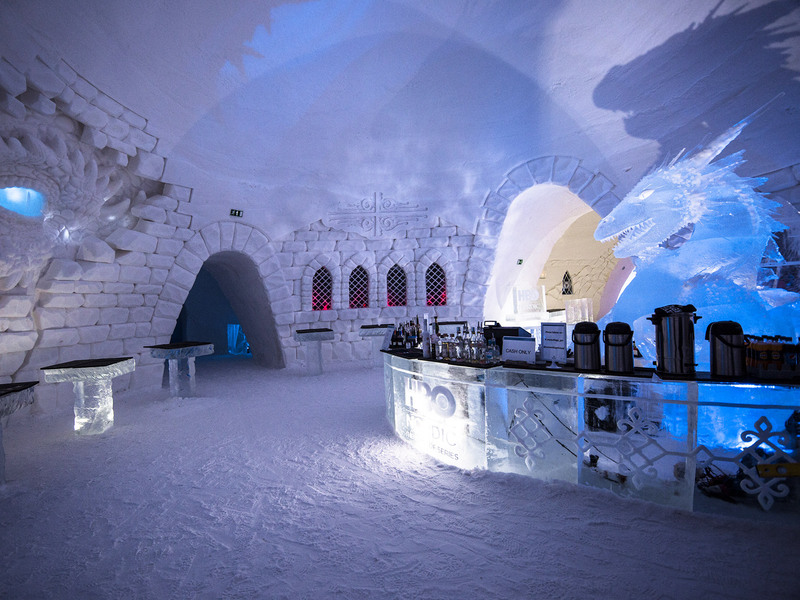 Lapland invites those who stay to stop by the Ice Bar—guarded by its own ice dragon—and wrap themselves in blankets as they sip on some hot chocolate or a chilled cocktail, served in an ice glass and made with Nordic ingredients. 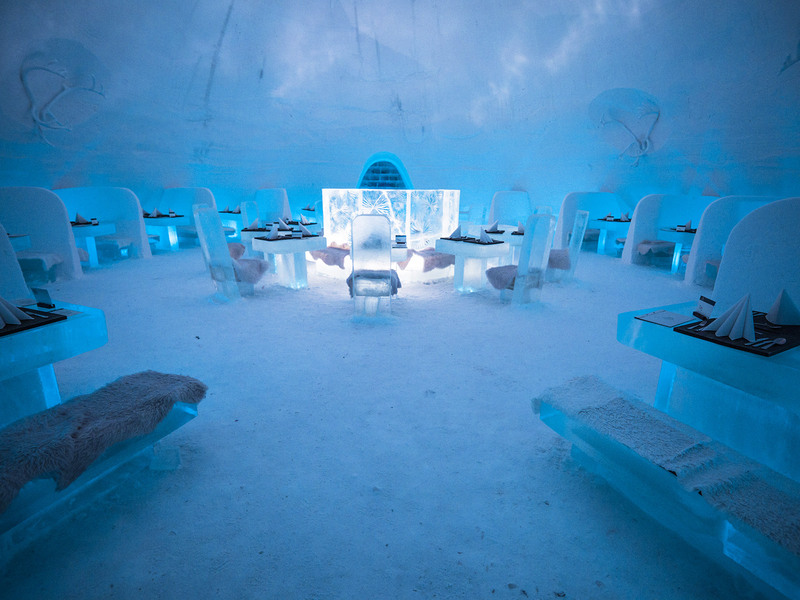 If you’re looking for something a bit more filling, you can dine like Kings and Queens at either the Ice or Snow Restaurants, where yes, even the seating and tables are made of ice. Enjoy dishes like Reindeer filet with roasted Lappish potatoes, overcooked pork belly with celeriac purée and rosemary sauce, or indulge in the “Delicacies of Lapland,” a multicourse dish featuring cold smoked reindeer, cold-smoked salmon, whitefish roe, cloudberry jam, and Lappish cheese. Due to the colder nature of the hotel, Lapland recommends you only spend a single night there and that you have proper winter attire, or rent some for $18 a day. If you want to stay longer, you can book one of their cozier on-site cabins, allowing you to more properly enjoy the location’s other amenities, such as ice sculpting classes, husky- or reindeer-sledding, and snowmobiling. All overnight stays come with perks, including a guided tour of the SnowVillage and a warm breakfast buffet. Rates for rooms starting at $230 while suites start $420 per night. You can view all the rooms, activities, and dining options on the Lapland Hotels website. You’ll want to book soon though as like winter, spring is also coming and the Game of Thrones hotel experience is only slated to last until April.